Details: Although still dominated by Toyota Prius cars, the TfL Streets fleet has gained quite a bit of variety over the past year. As well as several different types of cars, some vans have now also joined the operation. First up were five Peugeot Bippers in 2010. These were followed in spring 2011 by (at least) two Vauxhall Combos. 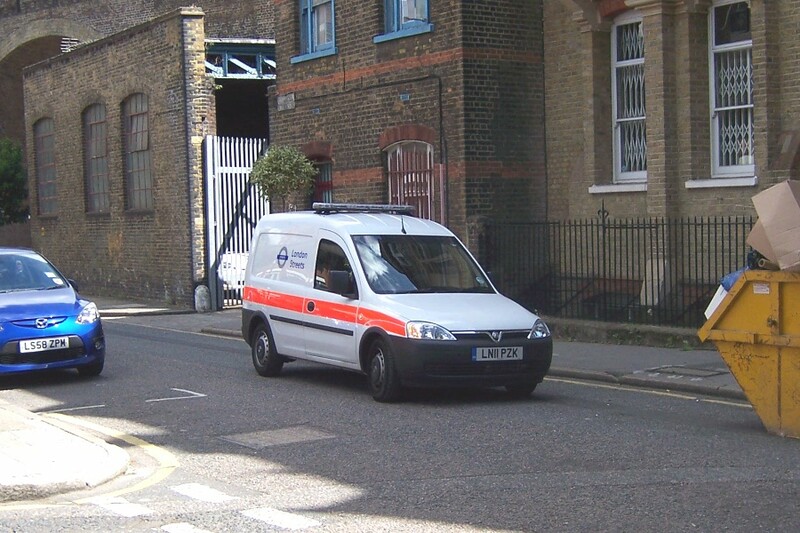 As with most of the fleet, the vans carry white/orange livery and have light-bars. No fleetnumbers are displayed, but they are likely to be allocated. Policy does appear to be that cars are often un-numbered but vans are nearly always numbered. LN11PZK was caught leaving the Chancel Street garage on 10th May 2011.